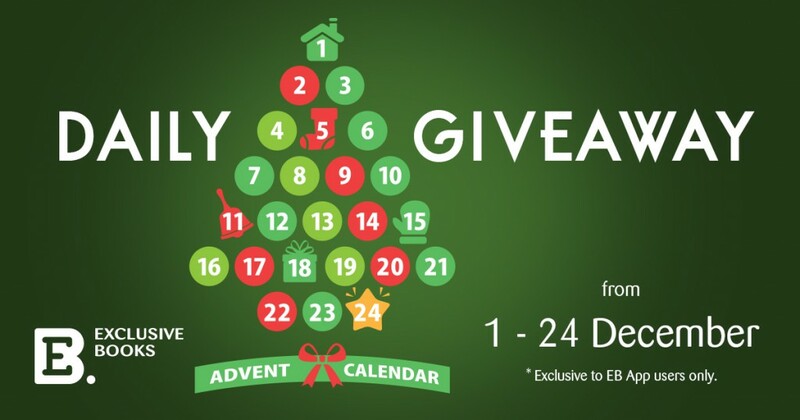 Our EB App Advent Calendar competition has started, which means you have 24 chances to win one of our spectacular prizes! To enter the competition simply email your response to each of the daily questions posted in the Exclusive Books App to socialmedia@exclusivebooks.co.za and watch out for the winner posts every Monday. You can download the app using the links below. Want to see some of the amazing titles you could win? Take a look at our Christmas Catalogue in store or online. Don’t have the Exclusive Books App yet? 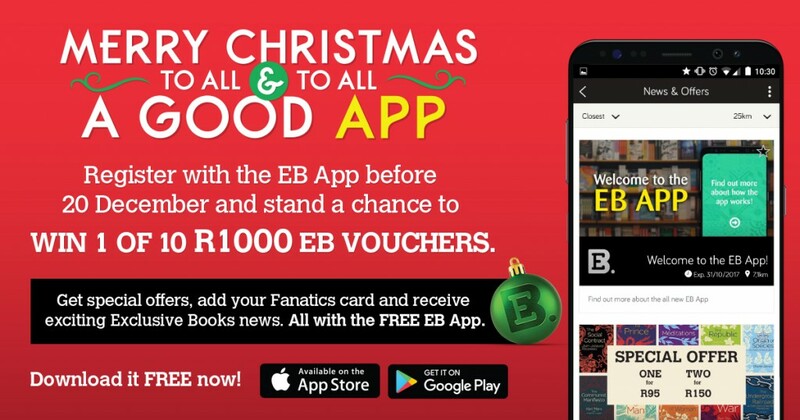 You can download it here (and stand a chance to win 1 of 10 R1000 Exclusive Books vouchers just for downloading the App before 20 December!). Where on the EB App can we find the competition? Hi Retha, if you haven’t been able to find it, go to the “New & Offers” tab. Set the distance to 100km and scroll down to Daily Giveaway with the relevant day. Find the question, send an email and cross fingers! Where will I find the questions posted on the app?